The Amsterdam Smokers Club meets this Friday for another super session. You can catch up with the Team at the worlds biggest coffeeshop, The Prix d’Ami in Amsterdam for what is certain to be fantastic evening. With GoodieBags, Giveaways, Product News, DabStation and much much more, it’s the one event you don’t want to miss! Starts @ 8pm and finishes late. You can check out The Amsterdam Smokers Club Instagram page for photos from our previous Amsterdam Smokers Club evenings and for details of our upcoming events. The Monsters Cup 2018 Awards. The Monsters Cup 2018 Award Ceremony! Only a true Monster can win! Nerd Creations brings you 8 separate categories and awards with 8 professional judges in attendance. 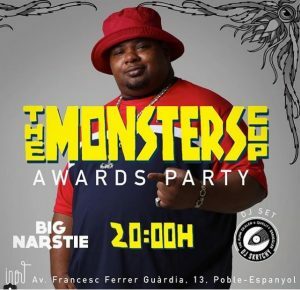 There will be Live Music from Big Narstie and DJ Skrtchy, rounding off what has been a spectacular week of activities. The winners will receive The Monsters Cup Championship Ring!. We at Devil’s Harvest Seeds are especially happy to show our gratitude to our friends and colleagues @nerdcreations @themonsterscup and @aranuaclub for their warm hospitality. Thanks to everyone involved for making this yet another great occasion! 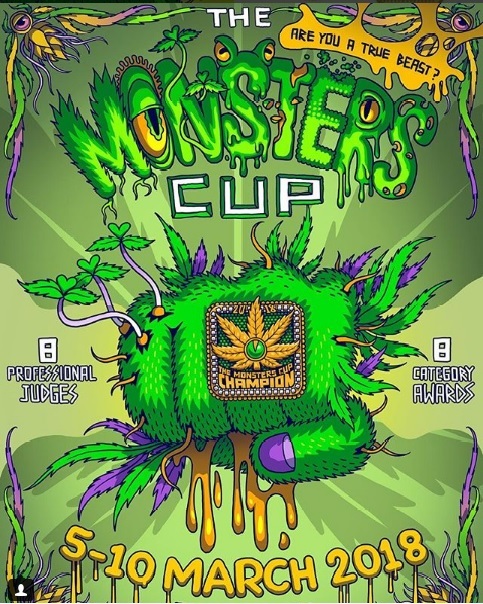 mail themonsterscup@gmail.com for more info. April means one thing, and that one thing is 420! 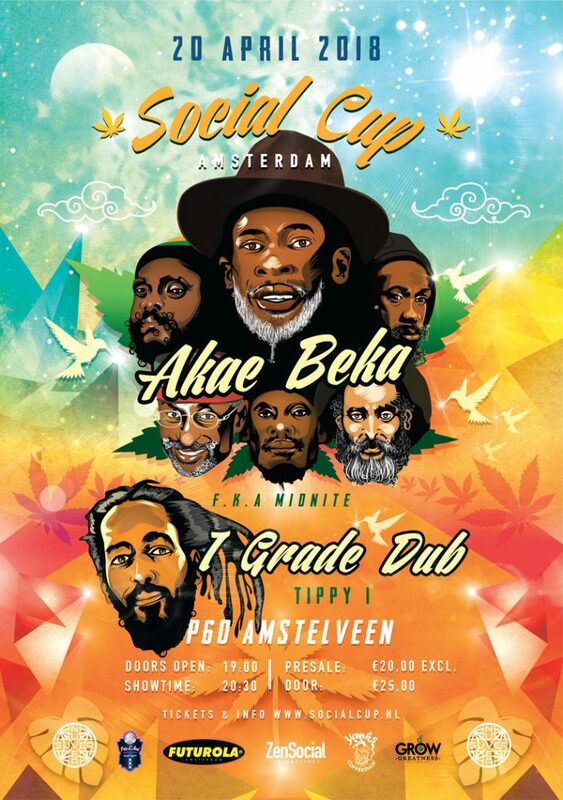 This year we are delighted to be called upon for judging duties at The Social Cup to be held at Poppodium P60 in Amstelveen. With live music supplied by reggae legends Akae Beka (formerly known as MIDNITE) and i-Grade Dub with Tippy I, this is sure to be a day to remember. Join us and celebrate our favourite plant in style! Stay tuned to the official Social Cup website for upcoming news of the entrants, sponsors and celebrity guests. EVERY FIRST FRIDAY OF EVERY MONTH! The Amsterdam Smokers Club meets every first Friday of every month. You can catch up with the Team at the worlds biggest coffeeshop, The Prix d’Ami in Amsterdam. With GoodieBags, Giveaways, Product News, DabStation and much much more, it’s the one session you don’t want to miss! Check out The Amsterdam Smokers Club Instagram page for details of the next gathering. It’s going down in Barcelona! Join us on Friday March 9th, Saturday March 10th and Sunday March 11th at Fira de Cornella at Spannabis 2018 in Spain! Team Devils will be at Booth 13, in the main hall across from Easy Grow and next to Grass Roots California, come check out our latest drop of seeds including our newest debut The Devils Glue. When entering the main entrance at Fira de Cornella, take a right when you get inside and find us on the right side up against the wall at Booth 13. We’ve got free seed giveaways, Spannabis show specials give-aways by The Devils Nectar! Roll through and say what up to Devils Harvest Seeds, hashtag #DevilsHarvestSpannabis with your pics on Instagram, Twitter or Facebook for a chance to win a giveaway seed package! Follow Devils Harvest Seeds on twitter, instagram and Facebook and stay up to date with all our news, strains, special events and everything else Team Devils!